Among all the things your smartphone can do, did you know it can also help you lower your environmental footprint? More developers are rolling out apps for iPhones, iPads and Android to help businesses and consumers measure their footprint and reduce it in a variety of ways. Do a Google search for “green business apps,” and a huge array of lists pop up. 1) Ditch the business cards. During business meetings, it’s almost inevitable that someone will pull out their business card, and then everyone else will, too. But all those paper cards mean more trees getting chopped down and other environmental problems. Some smartphone apps let you forgo the paper cards. The Bump app for iPhone and Android, for example, allows people to trade contact information by bumping their smartphones together. The GreenCard app for iPhone also takes paper out of the equation, and if you update your GreenCard, all of your contacts get their entry for you updated, too. 2) Find green products. 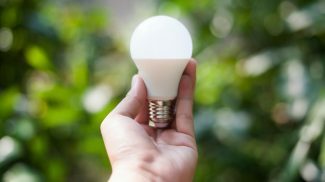 Need to find the right energy-efficient light bulb for your fixtures? There’s an app called the Light Bulb Finder that’s available for iPhone and Android. Want to figure which toilet paper is 100 percent recycled? Greenpeace has an app for that. Then there’s GoodGuide, which allows an iPhone user to scan the bar code for a product to look up information about its environmental friendliness. 3) Cut down on the gas mileage. It’s apps galore when it comes to finding ways to cut down on gas usage. The Fuel Saver app will actually make your iPhone beep at you when you’re accelerating or braking too fast, or simply driving too fast overall. Want to simply avoid having to brake? Green Driver uses traffic light information obtained from cities to help drivers plan a route around red lights. Another strategy is to carpool more (and encourage employees to do so). Try Avego to find others in your area willing to offer a lift or needing a lift. Cartipate also helps set up carpooling networks for iPhone users. 4) Reduce your utilities usage. 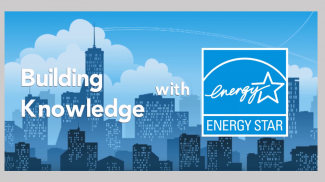 Lowering your electricity usage doesn’t just help the environment — it also helps you save money. There are several apps available to help rein in your electric and natural gas usage. MeterRead helps iPhone users better read their electricity meters, and even calculates estimates of future electricity usage. Green Outlet estimates your electricity bill based on the appliances you are using. 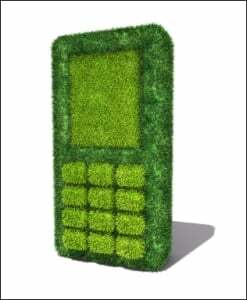 Do you use green apps at your business? If so, do they help? I don’t think people will ever fully move away from paper business cards – it is a classic tradition and required in some businesses. Sure, in my tech savvy/entrepreneurial industries you can get away with bumping – but I don’t think that is going to fly in for example, the wealth management arena. In fact, I am moving towards something which is probably even less green then paper – plastic transparent cards. If your company ever issues coupons or discounts via email or other online channels, let your customers redeem with their phones. 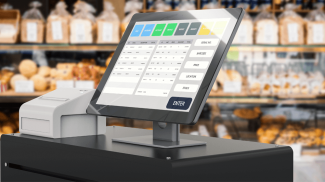 Less paper & printing by your customers. Less trash at your office. There are some aspects of going green that I don’t agree with, but these tips are great. 2 of which actually save you money, and the one about the business cards helps with organizing all of them. Beside, no one wants to carry around a ton of business cards to hand out.